Amplified by the lure of big cities, rural exodus leads to the growth of populations finding themselves removed from their traditional roots (the village as pillar of the community) ending up being neglected. Urban settlement often occurs in an anarchic manner in very poor health and sanitation conditions. Such families live in a state of severe precariousness and seldom have access to any care. Children are the first victims: when families are dislocated and dismantled, when abuses in Quranic schooling cause the arrival in Dakar of men in droves accompanied by several children which they exploit for economic gains, children are abandoned, exploitable and exploited, forced to live in groups, engaging in theft, drug abuse or prostitution, often at the mercy of unscrupulous adults. Without shelter, without support of any form and without resources, street children are forced down to the level of mere survival. It is particularly difficult to assess the number of street children in Dakar, but Samu Social Senegal already identified and sheltered more than 5,000 individual children at least once. In Dakar, the phenomenon of social exclusion translates in its more extreme form into the existence of a high number of children living in the streets. Deprived of protection and affection, with no family support, street children are excluded from healthcare, social and educational structures and are too weak or too desocialized to decide to turn to existing support facilities. Their state, both physical and psychological, therefore deteriorates very rapidly, especially as they face very harsh living conditions. They have no other choice but to develop street survival strategies by creating new bearings, namely joining a group of children and identifying with a specific street territory. Left to fend for themselves often at a very young age, having often been abused, such children also tend to develop a strong feeling of mistrust towards adults and society as a whole. Through these specific features, the behaviour of such street children becomes clear, as they sometimes prefer to stay in the streets, where they have their bearings and feel safe, rather than ask for help. Indeed, due to family breakup and to their situation of precariousness and stigmatization, street children exhibit behavioural disorders linked to the desocialization process. Paradoxically, street children seem to have adapted to their environment and often refuse to leave the street, their territory, their group, which are security and identity bearings for them (phenomenon of “paradoxical overadaptation” to the street). Street children therefore need to receive help in their own environment before street exit strategies are envisaged. Besides, faced with extremely traumatic situations, their psychological state deteriorates very rapidly because they are often unable to express their suffering and their need for assistance; they especially need professional psychological support that is tuned to their vulnerability. 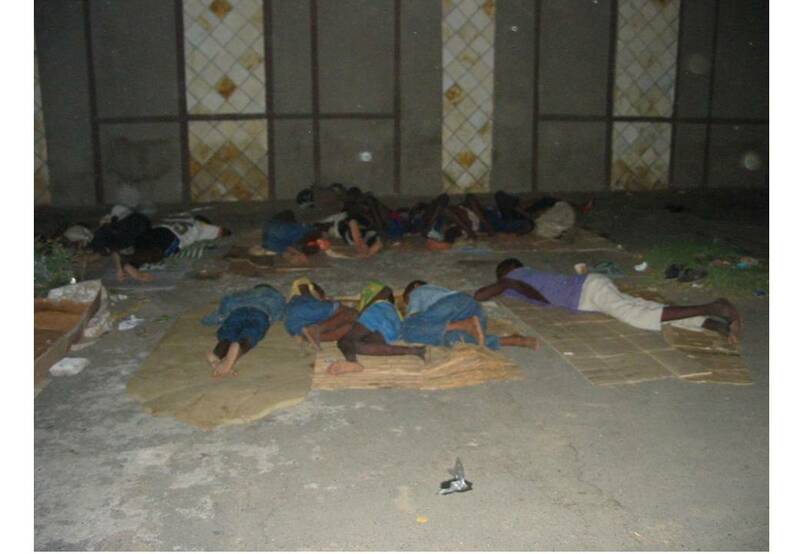 It is particularly difficult to assess the number of street children. In an 14-year activity span, Samu Social Senegal has already identified more than 7,000 individual children, with a frequency of around 30 new children encountered each month. The nature and multiplicity of causes, as well as the constant arrival of new children in the streets of Dakar show that we are facing a genuine street children problem, which cannot be narrowed down to an occasional social problem with a quick-fix solution. It is difficult to account for the ease with which street children adapt to a difficult and hostile environment. It is surprising to hear a child say that “everything’s okay” when s/he sleeps on a bit of pavement, spends the day in anguish at not finding any food, suffers of multiple conditions due to lack of hygiene and unavailability of treatment. How to explain the refusal of a child to be guided towards a centre where s/he can be treated and regain hope for the future? Research on the psychopathology of vulnerable children and teenagers highlights the notion of “paradoxical overadaptation” as a survival strategy of the mind. Indeed, to survive in a hostile environment, children instinctively build security and identity bearings (a group, a territory) which are used as a protective shield. Admitting their distress and difficulties amounts to breaking down this shield, to making street children that much more fragile. Thus, paradoxically, street children tend to “act tough”, pretending that they do not need anything or anyone and refuse to leave a territory which, to them, is a security perimeter. This paradoxical overadaptation worsens their emotional misery, social exclusion and vulnerability to the threats from the street to the extent that they refuse to leave the streets until they feel able to adapt to another environment. In other words, the rehabilitation of children is a crucial prerequisite to their social reinsertion: they should regain confidence in themselves before being able to project themselves into the future.